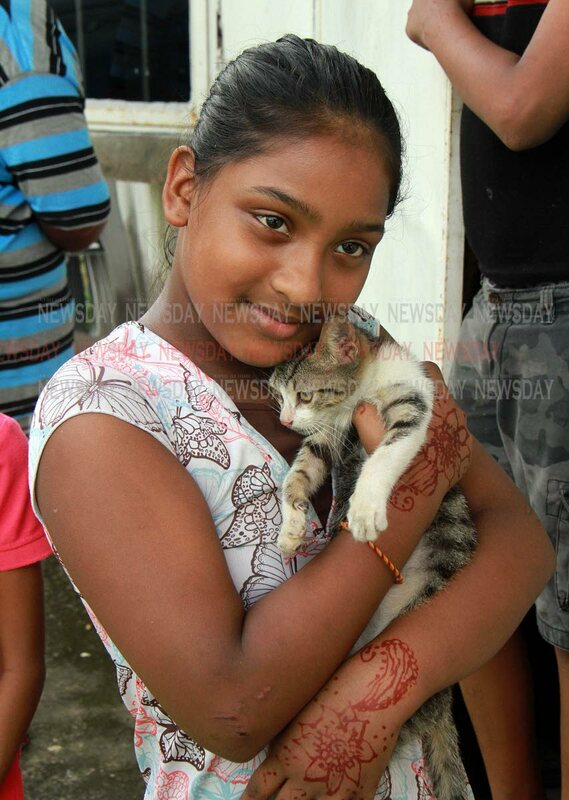 Michelle Rampersad, 10, hugs her pet cat after both of them are lucky to be alive when their family home was destroyed by fire on Divali Night at Baksh Settlement, Mc Bean, Couva. PHOTO BY ANIL RAMPERSAD. FOUR children who were left homeless after a fire destroyed their Couva home on Divali night will be returning to school on Monday. The fire destroyed their uniforms, school books, laptops, bags, shoes and more. But with the collaborative effort from good samaritans across the country, members of the Couva /Tabaquite /Talparo Regional Corporation, Couva South MP Rudrathnath Indarsingh, the McBean Hindu Primary School and Carapichaima East Secondary School all school items are expected to be donated to the children this week. The fire is believed to have been caused by a scratch bomb thrown by a group of children who were playing with the explosives in front of the family's Baksh Settlement, McBean, Couva home. 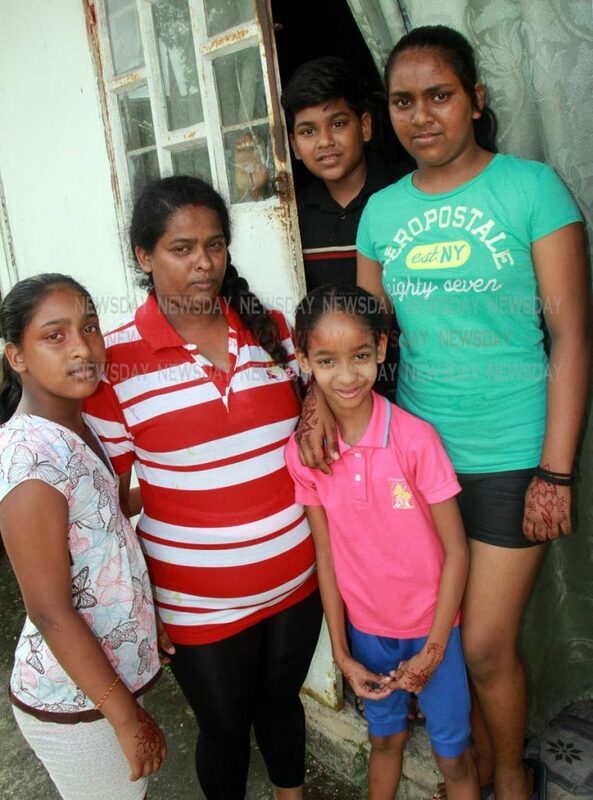 Second left, Vidya Rampersad and her children, at left, Michelle, 10, at front, Jenna, 7 at right, Vanita, 13 and Center back, Jeremiah 12 lucky to be alive when their family home was destroyed by fire on Divali Night at Baksh Settlement, Mc Bean, Couva. The children are now staying at the home of a neighbour. Their father Jimmy Rampersad told Newsday on Thursday that he watched his life change in some seconds after the fire. Anyone wishing to help the family can call, 318-4527 or 701-8832. Couva police and firemen are investigating. Reply to "Help pours in after fire, children to return to school Monday"